I participated in the Minneapolis Public School System’s summer program called the Fast Track Program. This is a summer school designed to assist eight graders, providing transitional skills as they prepare to enter high school in the fall. 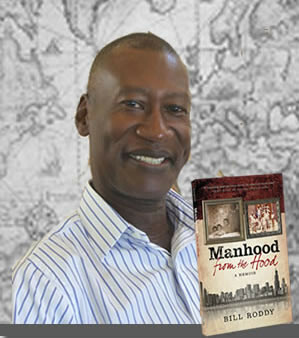 After the students read Manhood From the Hood and completed the workbook, I was invited to meet and engage the students. I cherish the moments when I can engage students, listening to their questions and feedback after they have read Manhood From the Hood. As I engage their insightful questions, they help me reflect on my own middle school years. I remembered my own nervousness and tension transitioning to high school. We shared similar feelings about our transition. Looking into their faces I saw myself! 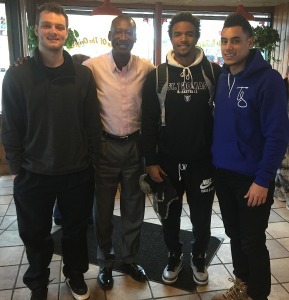 These engagements with the students left me with hope for our youth. 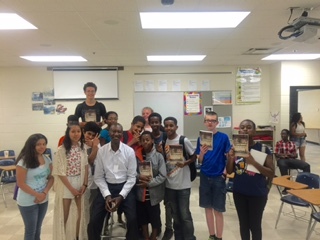 These middle school youth were insightful, intelligent, encompassed all ethnic groups and were compassionate regarding my personal challenges (and their own) transitioning from middle school to high school. Wouldn’t you agree that one way to create positive, life affirming memories is to allow students to ask questions and encourage them to share their thoughts? 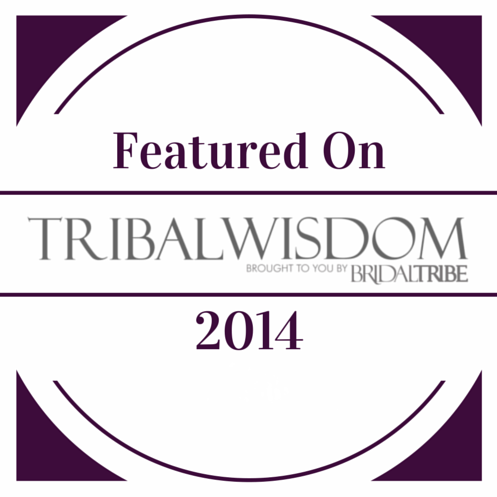 I was honored several months ago to be a guest on the TribalWisdom Blogtalkradio show hosted by Cynthia W. The topic Leadership. Isn’t it good to know that there are many forms of leadership? Don’t real men know when to collaborate or be in competition? Collaborate: 1. To work together, especially in joint intellectual effort. Had several meetings with business partners last week. One of the best was with Larry Umphrey, Director of Recreation Centers and Programs at the Minneapolis Park and Recreation Board. 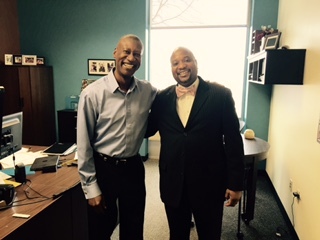 I ran into the Assistant Superintendent, J. Nicholas Williams, in between meetings. I noticed him preparing for a meeting that day. He was dressed in a nice looking suit and beautiful bow tie. Being a business owner since 1997 I’ve reflected on many potential successful relationships that could have been successful. Our male egos got in the way! Competition became the focal point and collaboration didn’t have a chance. I’ve learned over the years to seek cooperation and use competition when its appropriate. Competition. Talking trash to my golfing buddies on the first tee box! As men we are naturally competitive. It’s one of the characteristics that make us who we are. Our collaboration serves thousands of youth and adults yearly in our computer centers in the Minneapolis Park and Recreation Board public parks. Wouldn’t you agree that knowing when to seek collaboration or when to compete would enhance male and female relationships?